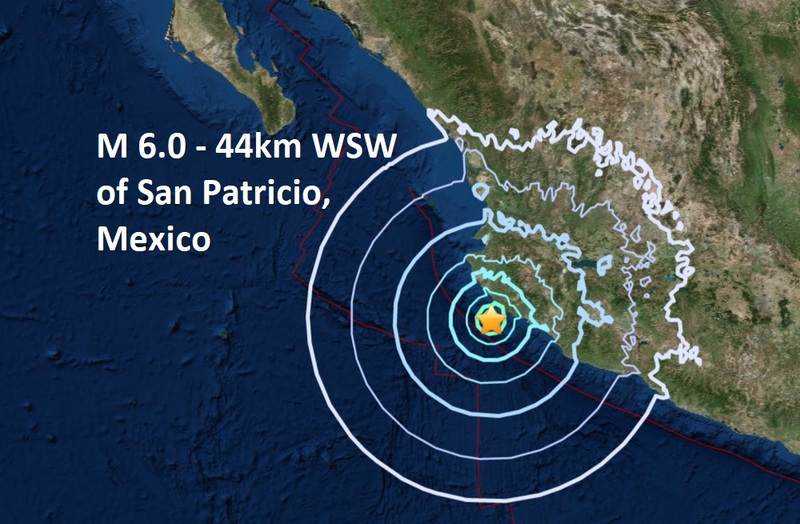 A rare earthquake measuring 6.1 magnitude, reduced to a mag 6.0 by USGS struck the Pacific coast of Mexico on Friday, 88 kilometres (55 miles) west-southwest offshore from Cihuatlan, in Jalisco state. The USGS estimated the depth of the tremor at 10 km. Two massive quakes hit Mexico last September when a mag 7.1 - 5km struck Raboso, Mexico just 11 days after a massive mag 8.2 struck the west coast which was the biggest Mexican earthquake in 100 years. According to La Times, the quake struck on the anniversary of a 1985 quake that did major damage to the capital. We are witnessing a major quake drought for the second year running, today's quake in Mexico was only the 2nd of the month of June and only the 45th of 2018, two less than last year which ended the year with just 111 major quakes, the lowest yearly total this century.